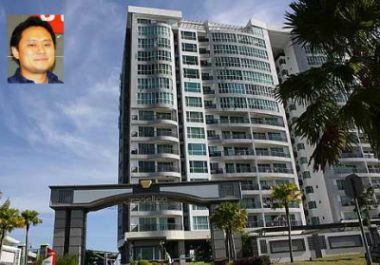 KOTA KINABALU: Bina Puri Holdings Bhd is projecting a total of RM250mil sales revenue from its property division or 20% of the group's overall ongoing projects this year. Bina Puri Holdings Bhd executive director Mathew Tee, 35, in a media Q&A session at Bina Puri's office at Alam Mesra here on Saturday said the contribution marked the construction group's effort to shift away from its core business activities to property development. Of the amount RM66mil is from Sabah, said Tee adding that excellent performance of property market in Sabah had contributed positively to their property division from nothing last year to 20% of total gross development this year. The group's other substantial property contribution came from its new property launches in the Klang Valley, Penang and Johor. Tee said the company's shift towards property sector was part of its exercise to diversify and balance the group activities from mainly construction. “We find that property division gives better profit margin. We foresee that in next five years Bina Puri will have a 50:50 mix between construction and property,'' said Tee adding that this year was a record year for Bina Puri Group with a revenue exceeding RM1bil. The group bullish performance, he said, was due to large volume turnover of ongoing projects which was on average of RM350mil per year or about RM18mil per month. For the past five years, the group secured on average of RM1.5bil projects per year. Tee said the group's overall total ongoing projects was RM5.7bil with unbilled portion amounting to RM2.6bil. Bina Puri's outstanding orderbook of RM2.5bil will roll out over the next two year. Tee said the company is on an expansion trail to further strengthen its presence in Sabah. Bina Puri has been in Sabah for 15 years and had completed more than RM1.5bil worth of projects here. Currently, it has over RM600mil worth of ongoing projects here. Tee said the projects include the construction of two high-end condominium; Jesselton View and One Jesselton at Kepayan, affordable housing scheme in Sandakan, Central Lecture Hall & Post Graduate Centre for Universiti Malaysia Sabah and an 8-storey medium-cost apartments in Menggatal. He added that 28% totalling about RM2.8bil of the group's ongoing projects in Malaysia came from Sabah and Sarawak. Bina Puri Holdings Bhd is a Bursa Malaysia Main Board company with 35 years of experience in civil and building construction both locally and internationally.